Riccardo Turcato a.k.a. RDMGRL always close to the roots and street culture, comes to the music scene in 1997, at seventeen, when together with the Assembly , hiphop group very productive time, produces and publishes their first ep . During the coming years , continued pruduzione the beat: to report in 1998, the presence of a compilation pro Emergency, published by IAHH , news groups for the historic Italian hiphop . In 2001 he founded together with Francesco Prendin the duo the ” Genuine “, addicted to techno rock , using sampler / synth and whatever else might deviate from the rock / blues traditional . Over the years, the ” Genuine ” have become a reference point for musical Rovigo , their hometown. In 2002 he released his first album , ambient, ” And the rest of march … ” . On 27 December 2004 together with Francesco Prendin and SimoneRock , form the Triodiddio with whom he recorded one night in the first ep the same name. The album has become a must in the local underground scene . On January 4, 2005 they released a limited edition CD of 27 minutes duration , composed and recorded live electronic music . In 2006, by the soundtrack for the play ” Panica Opera ” staged by the company ” Four dogs in the street .” In 2007, also because of abstinence from upbeat rhythm , back to basics , starting with the project Riddim Guerrilla production dub / dubstep / technodub . 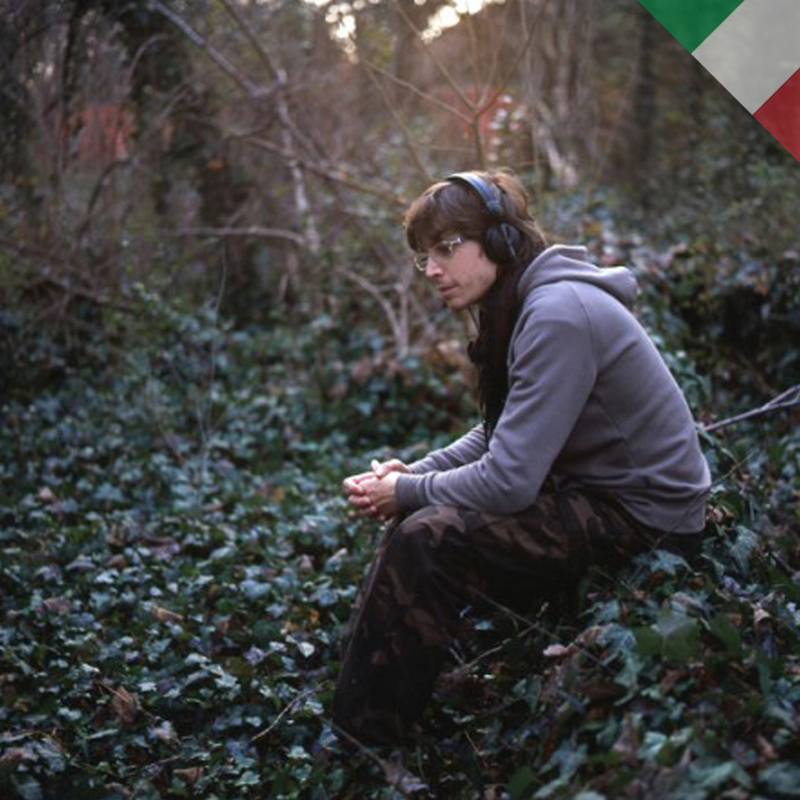 In April 2009 he released for the netlabel 4Weed q disc ” PeaceUnityTruth .” In May 2010 , her second showcase of the Italian Dub Community and its interior is the relative Lens and Lens Dub version . In June 2010 Digital musicaoltranza out for the remix of the song Bare Duty Touane . From May 2008 he played regularly at ALTAVOZ , the most important event of electronic music of the northeast . Since the beginning of the 2010/2011 season with the opening of the hall dubstep and thus becoming resident in the same , had the pleasure of sharing the stage with guests like Cosmin TRG , Untold , Blawan , XXXY , Tommy Four Seven and then … still Spiller and Classics. In 2012 with his crew Electronic Fog found the homonymous records label. He publish “Tale” in a split with Kreyk in 2012 and and “Waterproof EP” (with a re edit by Idga) in 2014. <p style=”text-align: justify;”>No compromise, just dubwise.